Young Scooter broke through in a big way with his 2013 mixtape, Street Lottery. Unfortunately, shortly after the release, Scooter was locked up for about 8 months on a parole violation, and his plans to release he debut album, Juug House, postponed. We still haven't received his proper debut, but shortly after his release from jail, ScooWop gave us Street Lottery Vol. 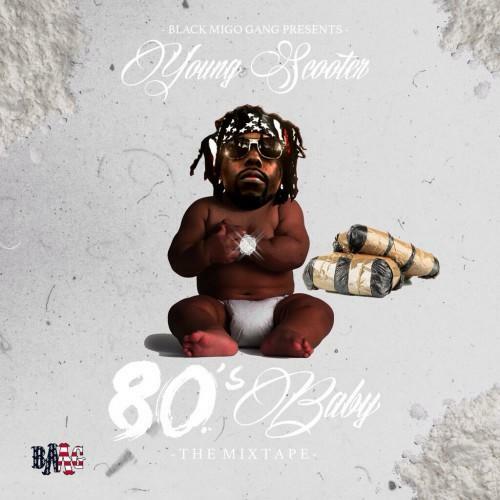 2 (not to mention an overlooked tape from behind bars), and today delivers his second project of the year, 80s baby. The tape features guest appearances from Young Thug, Casino, Future, OJ Da Juiceman, 2 Chainz and more.